On Monday, July 25 the B.C. legislature convened to discuss alterations to Vancouver’s charter that will allow them to impose a tax on empty houses. Although the parameters of the vacant home tax are still up for discussion, the province announced one significant change in policy: a 15% foreign buyer’s tax in the Metro Vancouver region. Started on August 2, non-Canadian purchasers and foreign-controlled firms will now see an extra 15% property transfer tax applied on all residential real estate investments in Vancouver. The purpose of this tax is to lower foreign demand and increase local supply, a looming issue that Metro Vancouver has been suffering from in the past year or so. Data accumulated by the provincial government shows that there has already been over $1 billion in BC property investment by foreigners from June 10 to July 14 alone, of which 86% were in the surrounding Vancouver region. So, in a city where an average single-detached home sells for a whopping $1.56 million, a foreign buyer’s tax might actually deter offshore investment. For example, a $2 million property now has an additional tax of $300,000. Furthermore, fines for offences include the amount of unpaid tax and interest plus an additional $100,000 on individuals and $200,000 for corporations. This tax could result in a high penalty that not all investors are willing to fork out. Although revenue is not the incentive for imposing the new foreign buyer’s tax, it definitely generates a good amount of money for the provincial government. The proceeds are said to go towards further restoring housing supply and affordability. Economists believe other provinces should lead by example and impose a similar tax to protect their housing markets. Ontario would be particularly wise to do since they are experiencing similar issues with Toronto’s real estate market. Furthermore, revenue could easily be put toward offsetting the eastern province’s budgetary deficit. On the contrary, British Columbia is in no need of the financial incentive and locals have voiced their concern 0ver the negative impact this tax could have on the provincial economy. Foreigners who have lived in Vancouver for years now fear that they will also be taxed despite being a fully assimilated “local” in British Columbian society. Furthermore, an estimated 2,300 pre-sale properties in the Metro Vancouver region are connected to foreign buyers who scrambled to close the deals before the implementation date of the tax on August 2. Of course, the foreign buyer’s tax is in its infant stages. There are still countless kinks to iron out since it’s announcement. For one, the government’s legislation will accommodate for flexibility in the 15% tax, increasing or decreasing it by 5% as it sees fit in the future. Still, there is certainly no way to predict how Vancouver’s housing market will react to the extra toll in the short and long run. Nevertheless, the municipal and provincial government has begun to address the housing bubble, hopefully taking a step or two closer to increasing supply and deflating outrageously high prices. On July 25, the provincial government of British Columbia will officially give the City of Vancouver the power to implement a vacant home tax. But why would the west coast city need such a toll? Data was released in the past months revealing that more than 10,800 condo units sit empty in Vancouver, even though the local population struggles to find affordable accommodation due to a housing shortage. The study was conducted and released by Ecotagious, a software company hired by the city to analyze domestic electricity consumption of over 225,000 homes in Vancouver. The data was provided by BC Hydro and each home was deemed vacant for the month if the electricity usage showed little change over 25 days. If this pattern repeated for August and September as well as the following June and July it was declared empty for the entire fiscal year. The findings were both understandable and shocking on two different fronts. The city concluded that the single-family home vacancy rate was steady at 1%, in line with previous calculations since 2002. The more extreme statistic showed that over one in 10 condominium units in Vancouver are currently sitting empty. Vancouver has found itself in a tough situation right now. Earlier this year, the Canadian Mortgage and Housing Corporation (CMHC) gave warning of strong evidence of overvaluation in the city’s real estate market. 91% of Vancouver homes are currently worth $1 million or more. In December 2015, the average price of a detached home was around $1.65 million, 175% higher than 2005’s average of $600,000. As prices rise, first time home buyers are turning to condos. That being said, the average price per unit has increased from $400,000 in 2013 to just under $600,000 in today’s market. Moreover, it is unlikely to find a new condo in Vancouver’s downtown peninsula for under $1,000 per square foot. All in all, young Canadians are struggling to find a decently priced condo, let alone detached home, in a market that has basically doubled in value over the past 10 years. But if the simple rule of economics were applied to this situation doesn’t the supply of 10,800 vacant condos reach the demand of the Vancouver population? Furthermore, if that is the case then why do housing prices continue to increase exponentially? The answer is the growing influx of foreign investment in Vancouver real estate. Many people overseas are exchanging their currency for Canada’s weak dollar and purchasing real assets. In other words, they are snapping up Vancouver properties and letting them sit empty, waiting for their value to appreciate over time. Another important point to consider is that although the Ecotagious’ study is concrete on most fronts, it does not accurately catch all situations of vacant homes. Houses used only during summer months as well as houses rented out on Airbnb and similar platforms are actually overlooked due to the methodology of the study. This is because both scenarios will show enough variability to disqualify them from the vacancy requirements. With this in mind, the City of Vancouver can only assume that there are even more vacant properties dispersed around the region. 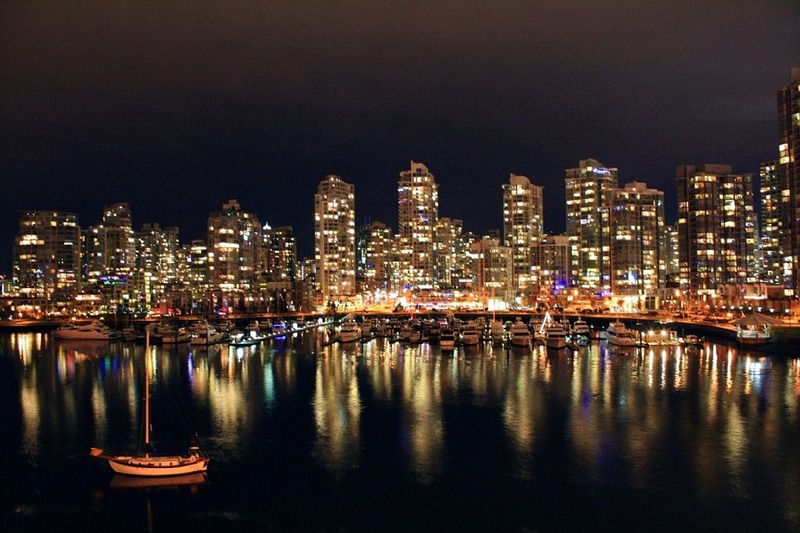 Vancouver Mayor Gregor Robertson has made it clear that the issue is ultimately about supply. This is where Vancouver’s vacant home tax comes in. The aim of the vacant home tax is to free up long-term rental stock. If condo owners pay a premium on an investment sitting uninhabited they will have even more incentive to put it up for lease. Furthermore, the revenue generated will be put towards financing new housing developments. After the provincial government works out the legislative details on July 25, it is fully up to the City of Vancouver to determine the tax rate, as well as the parameters on who to tax. The main issue is how to decide a property’s vacancy status and if it is eligible for taxation. Due to strict privacy regulations, BC Hydro cannot release specifics on which addresses are deemed uninhabited. Therefore, Robertson and his staff must come up with a different system to identify empty units for the vacant home tax. One proposal is to create a new class of property called ‘residential vacant’ and relate it to empty or under-occupied investment properties. The criteria fitting this category of housing would most likely include second home owners in Vancouver who use the property on occasion and short-term rentals such as Airbnb listings. 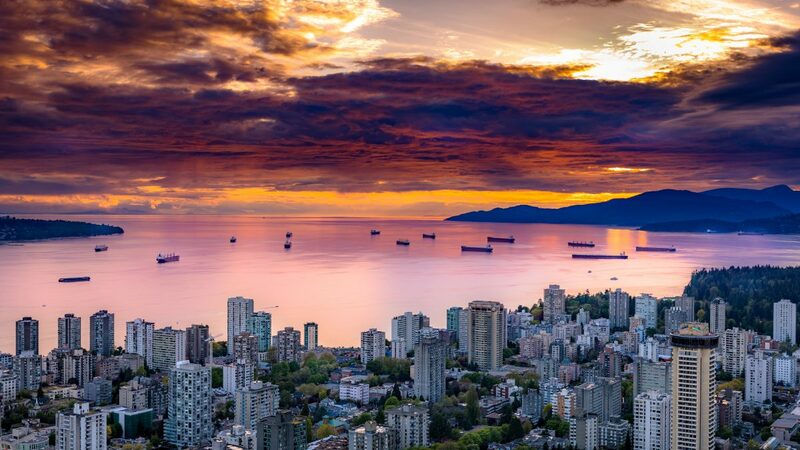 Due to recent contention regarding a substantial number of foreign investors in Vancouver, mainly the Chinese middle and upper class, there has been some speculation that non-Canadian residents could be taxed for owning property in the city. Mayor Robertson has assertively denied these claims, citing how targeting non-residents would be discriminatory. The city’s authority stands strong by their view that applying a tax based on nationality is not going to resolve this issue. The vacant home tax will be formulated to fix the real problem based off of how the properties are being used, not who owns them. Vancouver’s housing bubble is delicate and there is no way of predicting when it’s going to burst. There is also no way of knowing how the market will react to the vacant home tax. Nevertheless, something must be done. Demand is exceeding supply and prices are at an all-time high. The citizens of Vancouver want affordable housing that is up to Canada’s standard of living. If a vacant home tax is the solution to free up unused property and allow those who want to live in it versus leaving it empty, then so be it. Regardless, there will be many anticipated reports to come in the next few months regarding Vancouver’s housing market and the structure of the borderline-notorious vacant home tax.